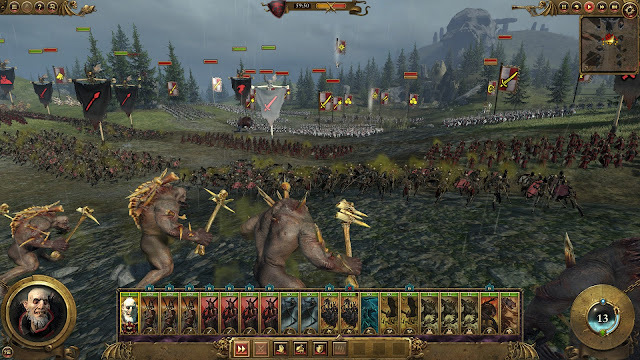 Warhammer Total War 2 is a game whose title I have a great deal of trouble with. It is cumbersome to say and feels redundant. Worst of all,it is a terrible reflection upon what, in my estimation, is one of the strongest entries in the Total War franchise. 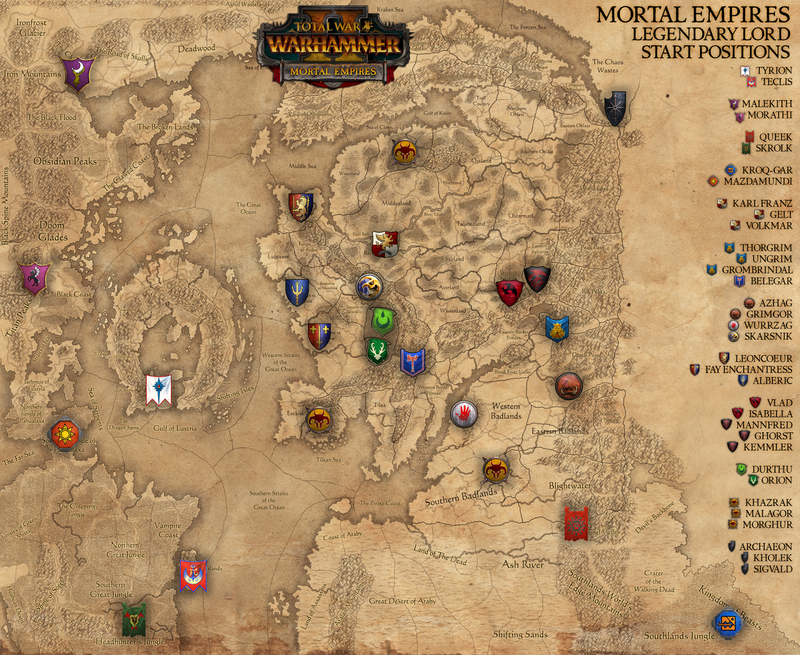 I am writing this review now that the Mortal Empires campaign has been released so that I can see how the game interacts with so many factions and so many moving parts. Before we get into that though, let's talk about the core campaign and the new factions it features. The campaign for the vortex is a marked departure from Total War norms. Yes, the campaign for Warhammer Total War had it's own differences but the general theme of "conquer all the things" was still a core part of the campaign and one of the principle conditions for victory. Warhammer Total War 2 still offers the old goals as an option, but it's something of a red herring. There is some significant distance between some of the factions in WTW2, so much so that it is easy to overextend an army. Even with an overwhelming force, protracted sieges and attrition from corrupted lands and battle slow the forward momentum required to keep ahead of the other factions. The best way to victory really is through playing the vortex ritual goals, which focuses more on the story elements of the game. Not all Total War fans are interested in anything more than the emergent narrative shaped by the turn by turn decisions and hard fought battles that are the earmark of any Total War game. I however found the story of the vortex to be highly engaging. The ultimate goal is to gain control of the dark vortex either to stop the forces of chaos or unleash them depending on the chosen faction. Control is gained through the completion of various rituals, each more complex than the last. 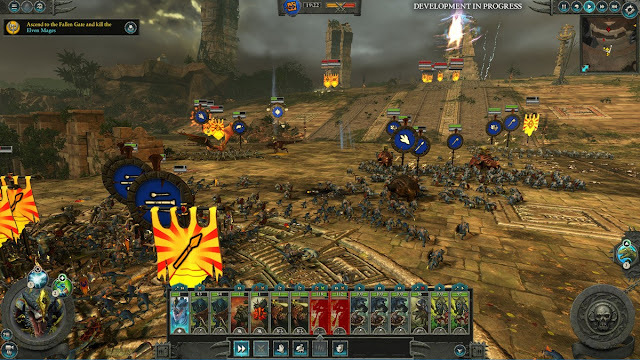 Completing a ritual requires players to maintain control of certain strongholds for a certain number of turns, during which other factions can send disrupting armies against. This sets aggressive goals for players and forces a more balanced play style. Aggressive expansion doesn't work in WTW2 because it leaves core cities too undefended when it comes time to execute one of the rituals​. Playing defensively and not expanding at all leaves players unable to generate the resources required to keep up with other factions. This focus on balanced play is great not only because it exposes players to more tactical variety during play, but it really encourages them to use all of the mechanics available to them, thereby ensuring that no part of the game is underutilized. 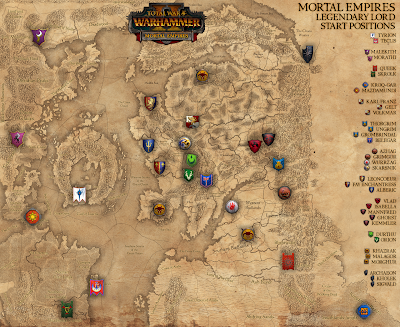 The Mortal Empires campaign is a little different. Where the Vortex campaign focuses on tight strategic gameplay dealing with four factions fighting over a very specific goal, Mortal Empires is much more chaotic (pun not intended). With so many factions on the map and the new ability for factions to settle anywhere, things can go a bit crazy really quickly. Sometimes a minor faction will completely blindside a larger one and conquer a wide swath of terrain. There are some unlikely alliances forged as well and more than a few unpleasant encounters with forces of Chaos. The unpredictability of it all is spectacular and incredibly engaging for players who like to be kept on their toes. Players who like a bit more predictability in their strategy games should probably look elsewhere for a particularly rewarding experience. There is just so much that can happen from turn to turn on such a large playing field, and much of it the player won't see until much later. 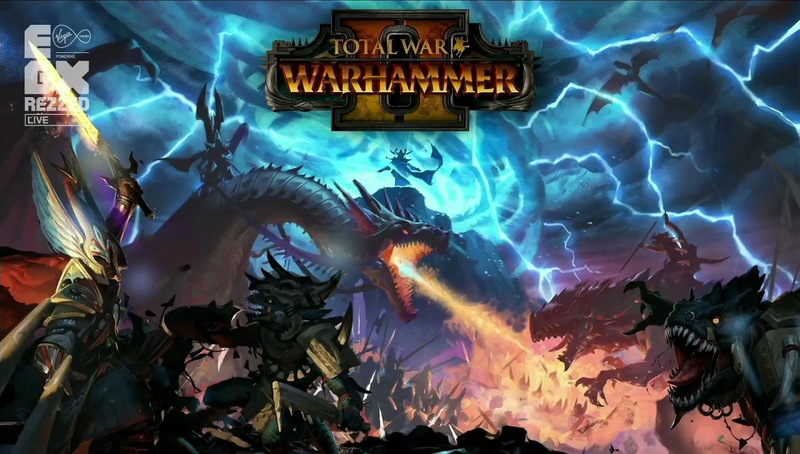 Someone playing the Dwarves might discover the new world late in the game to find it completely overrun with Skaven; someone else may find their Vampire counts suddenly teaming up with High elves to fight the Lizardmen together. There is just no single way to play Mortal Empires and be sure that you will come out on top and that is what I love about it so very much. Mortal Empires is Total War at its wildest and its best.